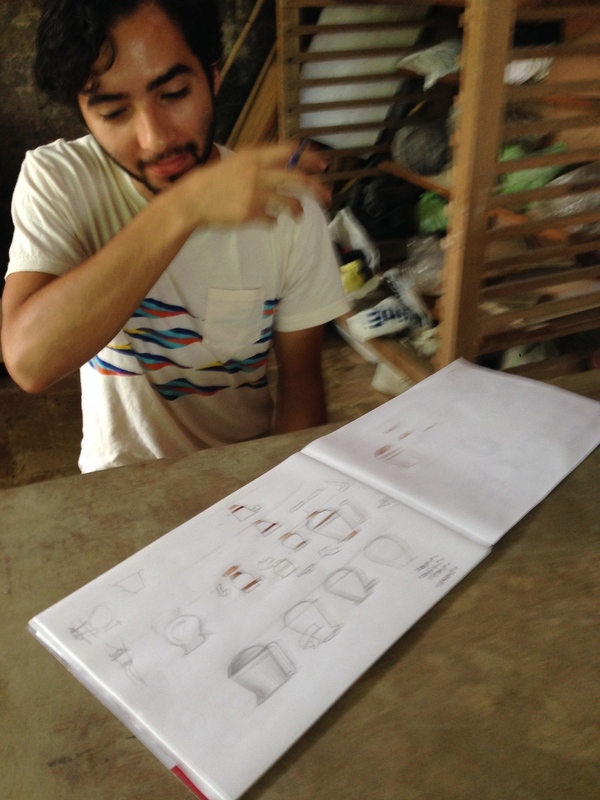 On July 6th, 2014 the second week long design workshop was held with the participation of 6 mexican design students. On a full week, they developed two products, inspired on local craft but projecting them into a global contemporary context with a strong conceptual approach. The group was divided in two: Carpentry and “Tinajeril” Pottery. 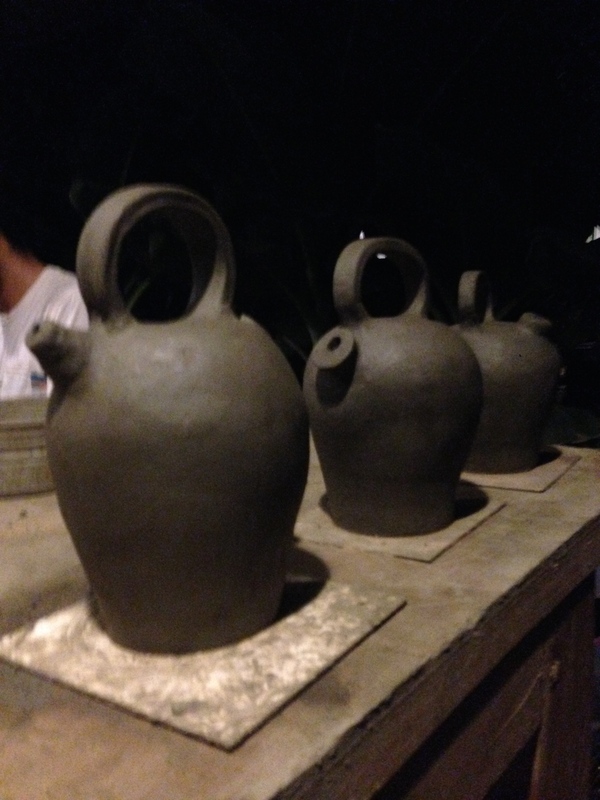 The last one meaning “Water Jar Pottery”, is traditional craft focused on manufacturing terracotta objects for cooling, filtering and containing fresh water. This craft that represented a regional industry decades ago, today it has been extinct for over 15 years. Jose Carlos Castillo, CEDIM. (Carpentry). Ana Salazar, CIDI, UNAM (Carpentry). Tessia Pacchano CIDI, UNAM. (Carpentry). 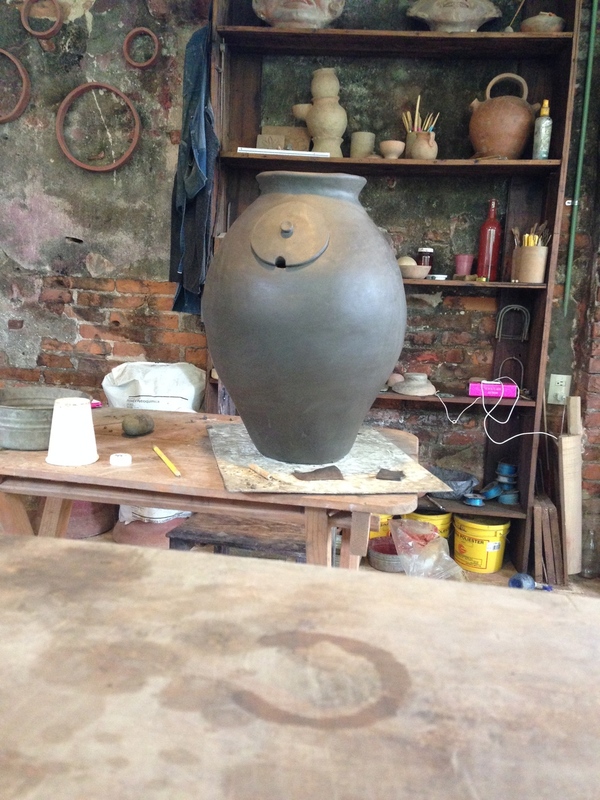 Mariana de la Garza, Tec de Monterrey (Pottery). Karime German, Tec de Monterrey, Puebla (Pottery).